Teeth whitening has become quite popular in recent years. And for good reason, after all, who doesn’t want a sparkling white smile that enhances their facial aesthetics and personality? 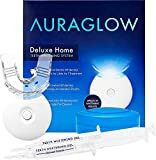 While many are spending thousands of dollars to achieve a bright, white smile, some are apprehensive about the negative effects of whitening. In particular people are concerned about the safety of using teeth bleaching products. Today you can get rid of teeth stains using a variety of methods. You can use natural home remedies, teeth whitening products or go for an in-office (dental) whitening treatment. Whichever method you choose however, most of them contain bleaching agents that give way to questions regarding safety. In general, people only ever assume something to be safe when it is absolutely harmless. The reality is that even things deemed to be safe can still present some element of danger. 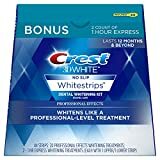 As with teeth whitening products containing bleach, they too have their own set of benefits and drawbacks. Is your quest for a white smile as safe as others claim it to be? Let us have a closer look. 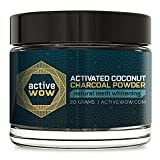 Teeth bleaching products are essentially teeth whitening products available over the counter or those used at the dentist’s office. You may be familiar with whitening toothpaste, gels, strips and kits that are readily available for use at home. When you go for professional whitening, the dentist uses a bleaching solution to whiten your teeth. Your dentist also has access the the strongest bleaching agents as they can provide a professionally monitored application. Hydrogen Peroxide in Your Mouth! Hydrogen peroxide, a commonly used teeth bleaching agent, is contained in almost all teeth whitening products. These products target stain particles from food and beverages that have been trapped in layers of tooth enamel. As you are probably aware, even with regular brushing and flossing stains on your teeth develop over time. When all else fails hydrogen peroxide may be the only way to regain whiter shades of your teeth. Yes that’s right hydrogen peroxide a bleaching agent is placed in your mouth. It is important not to ever swallow any teeth bleaching product that contains hydrogen peroxide as after all, it is a form of bleach. And as a bleach it works by actually eating away layers of your tooth enamel to remove the stains and reveal the whiter teeth below. A dental whitening procedures can take 30 minutes to an hour, while over the counter products may need to be used for short periods over several days. This is due to the dentist using a much more powerful bleaching solution. According to some researchers, the hydrogen peroxide contained in these teeth bleaching products is carcinogenic (cancer causing) and tooth decaying. Furthermore, many toothpastes and kits have been criticized for containing particles that can wear off the tooth enamel and if overused causes adverse effects. Even though a dental whitening procedure is very expensive it is considered the safest way to whiten your teeth due to the control over the bleaching solution’s quality and quantity. But, the criticism faced by other teeth whitening products makes them a matter of debate. So, is there any truth in their accusations? 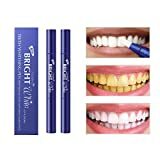 Are Teeth Whitening Products Safe to Use? Whitening products from trusted manufacturers are not harmful when used as directed. But this is where much of the debate arises. Each product contains different ingredients and has a unique method of application. It is vital that the user understands how to use the product by reading the usage instructions completely. Then by following these directions they will be able to use the product safely. Overuse of any teeth whitening product can be harmful to your dental health. As people get caught up in their vanity they may try to get results quicker, or go an extra shade whiter. However once they start over using the product or going against the directions of use they enter an unsafe and dangerous zone. We can’t say this enough. 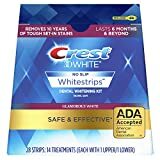 Unfortunately some people in their desire to get white teeth buy whitening kits and other items, but forget to read the label for use. They end up overusing these products or brushing too roughly which causes their tooth enamel to wear off. This, in turn, results in teeth sensitivity and decay. Although teeth whitening products are safe to use, caution must be exercised in case your teeth are allergic to whitening agents. The common form of hydrogen peroxide used in these products is carbamide peroxide. The substance splits into hydrogen peroxide and urea when activated. The toxicity of hydrogen peroxide is baseless as per credible scientific evidence. As per them, there is no association found between teeth whitening and cancer. When whitening procedures are performed correctly, the exposure to hydrogen peroxide is also minimal. Hence, there is no harm. While gum irritation and sensitivity do occur with whitening, they are generally mild to moderate and disappear within a few days. To summarize it all, teeth bleaching products are safe to use, when used correctly. In fact, some of the best selling products are dentist recommended or approved by dental authorities. But even with these great industry recommendations every person is different. So to ensure the highest safety standards, please consult your dentist before using any teeth whitening product or procedure. Depending on the current state of your health and discoloration of your teeth, you will be advised the best available whitening method.